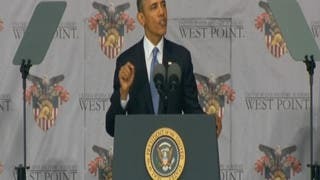 U.S. President Barack Obama’s West Point speech on Wednesday confirms that he views the world more realistically and has a deeper understanding of the world than before. It would have been possible to avoid years of suffering and mitigate threats if the American government had fully understood developments on the ground at an early stage. Despite that, it’s important to work with the U.S. all over again to curb the chaos created by terrorism in the region and to stop the tragedy in Syria. President Obama came close to saying he intends to change the situation in Syria when he said he wants to support the opposition, or rather ramp up support, for those who offer the best alternative to terrorists and a brutal dictator. This is what head of the Syrian national coalition Ahmad al-Jarba called for during his recent visit to the White House. He said the world must choose between a brutal regime which the majority of people reject, terrorist groups wreaking havoc in Syria or the moderate Syrian opposition that includes all sections of Syrian society. So, has the American government amended its stance on Syria and the rest of the region’s trouble spots? President Obama’s meeting with Jarba occurred after the Syrian embassy in Washington was closed, as were Syrian consulates in Michigan and Texas. The meeting also occurred at the same time as reports spread that the U.S. approved handing over advanced weapons to some opposition groups so they can take on the Syrian army’s heavy artillery. Obama’s renewed interest in the Syrian cause also restored Europe’s concern and mobilized international attempts to take Syria’s war crimes to the International Criminal Court. Jordan also joined the fray by expelling the Syrian ambassador this week. Attempting to control the situation in Syria is no longer just an issue that concerns 20 million Syrians - who are suffering from the worst catastrophe the region has known in years - it’s instead become an issue that concerns everyone’s security. The large-scale expansion of al-Qaeda organizations - as thousands of youths and women join its ranks, increasing its ability to seize vast areas of land – poses a real threat beyond Syria’s borders. It is also part of a vast web of terrorism stretching from Yemen, Libya, and Iraq to south of the Sahara Desert. We expect that international concern over Syria means that all solutions have become a serious option. The political solution won’t be realized before resorting to the military solution. Strengthening the moderate opposition’s military capabilities will besiege the regime forces and push the regime to once again return to negotiations. If the Syrian regime’s key ally wants to challenge the new situation, then this will cost it more in terms of manpower and funds. Consequently, it will not be able to confront superpowers’ engagement in support of the opposition. This all depends on the American government’s seriousness and on how frank Obama really was being when he spoke of the importance of ending terrorism and supporting the moderate opposition. 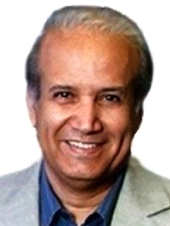 This article was first published in Asharq al-Awsat on May 29, 2014.